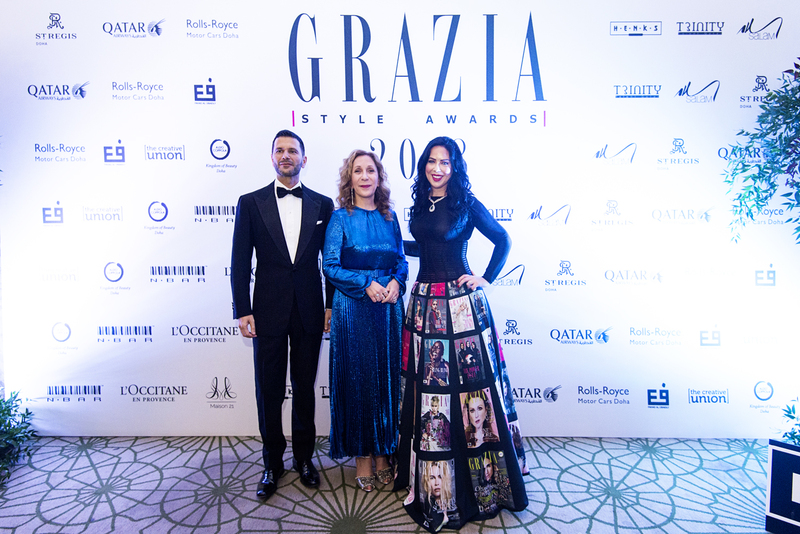 The annual Grazia Style Awards Qatar, now in its third year, took place in November at the St Regis Doha with over 15 awards presented to Qatari and Qatari-based talent in fashion, art and education. 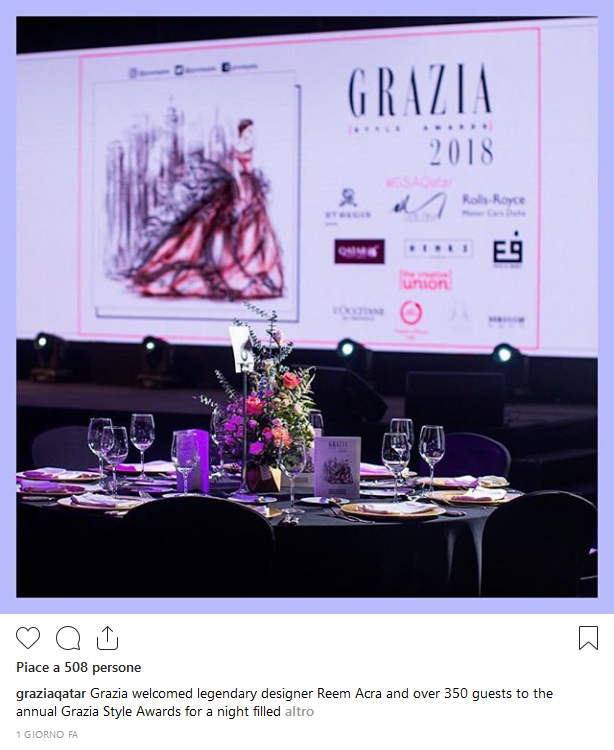 The evening was in perfect Grazia style, with floral and artistic installations, the Awards were all about offering a platform to emerging and established names in the worlds of fashion, art, and culture. 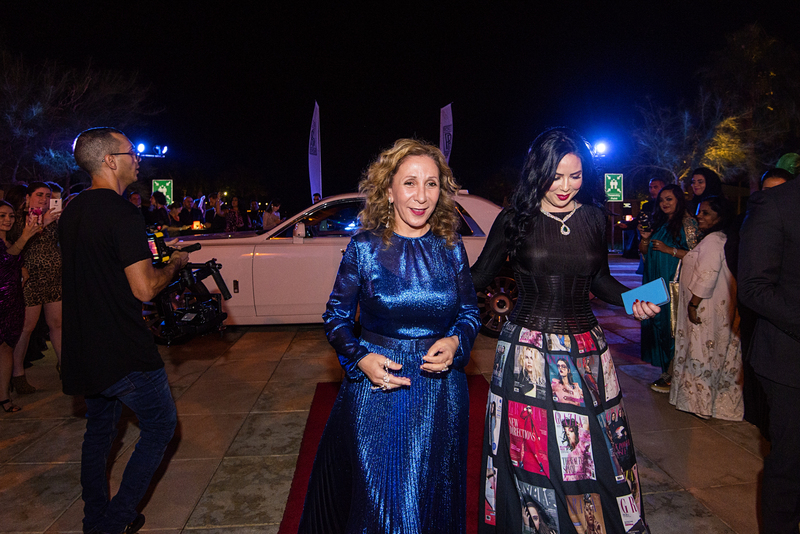 Following the most true Grazia’s DNA, the accent was placed on the voice of women speaking in unison to an international audience and showing them what Qatar has to offer in the worlds of fashion, art, and culture. Winners included Woman of the Year Sheikha Asma Al Thani for becoming the first Qatari to ski to the North Pole; The Ambassador of Italy to the State of Qatar, H.E. Pasquale Salzano, named as Man of The Year for the great contribution he has made in encouraging dialogue and cooperation between Italy and Qatar in the past 12 months; Aisha Al Naama, Yasmian Al Sharshani and Nada Zeidan for Grazia Cover of the Year; while the inspirational Dana Al-Anzy was named Youth Advocate of the Year for her work with Education Above All. 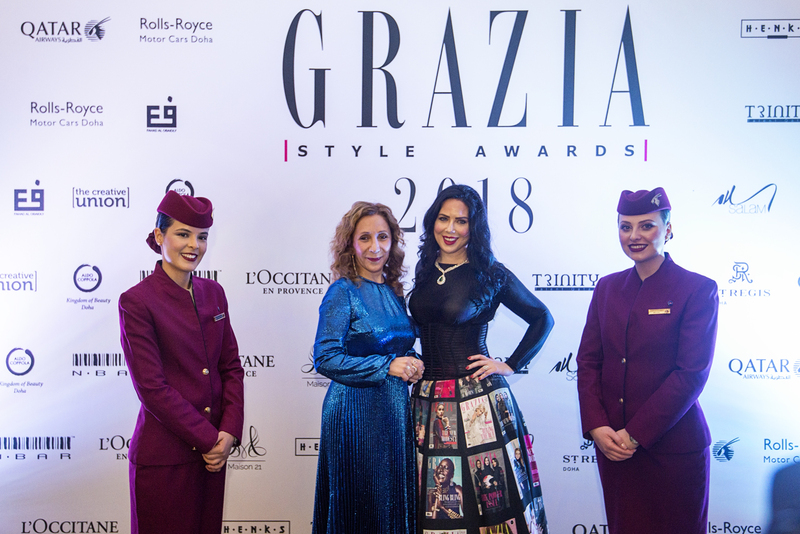 The Grazia Style Awards welcomed Guest of Honour Reem Acra, the renowned international designer known for her ready-to-wear and bridal collections. 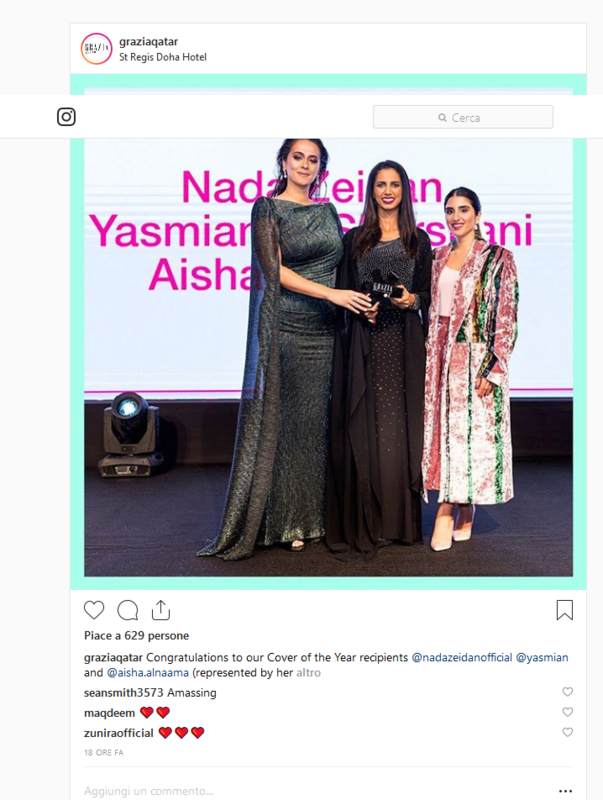 She arrived at the ceremony in style with Grazia’s Editor in Chief and received the Lifetime Achievement Award for services to fashion from Dana Al Fardan, last year’s Woman of the Year. The night was an amazing experience!